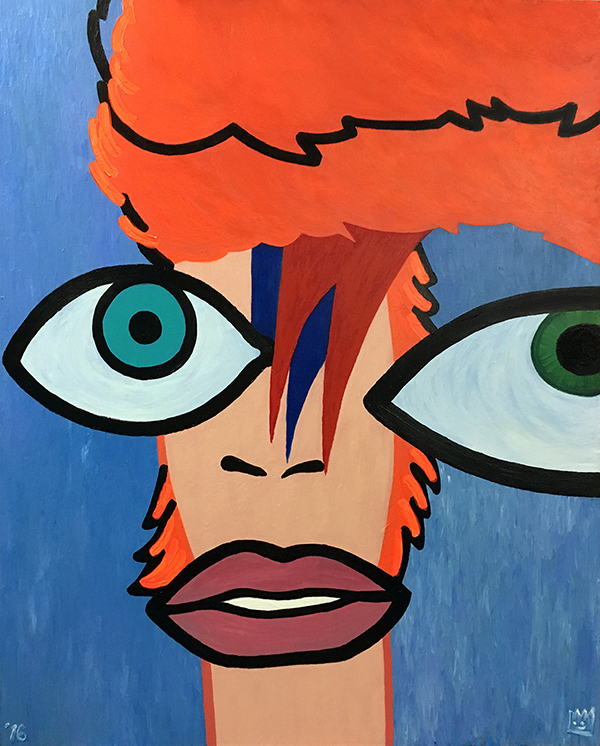 The first of the entire NuHeroes series, entitled NuBowie, Represents David Bowie as an artist and musician. The fracturing of the elements of Bowie’s face are a visual reference to the many facets of Bowie’s career. He was able to move effortlessly from style to style while creating an impressive catalog of work. Artist Barry McMahon first envisioned the series before David Bowie died. He wanted to paint Bowie as the first hero because he was inspired to begin the series by the album Heroes.